Navigate Rainy Roadways With Care – Sonora CA | Roger L. Stevens Insurance Agency, Inc.
Roger L. Stevens Insurance Agency, Inc.
It’s just rain – how much impact can it really have on your driving? Give people more room, and don’t use cruise control. You won’t be able to stop as quickly when the roads are wet – cars need two to three times more stopping distance. 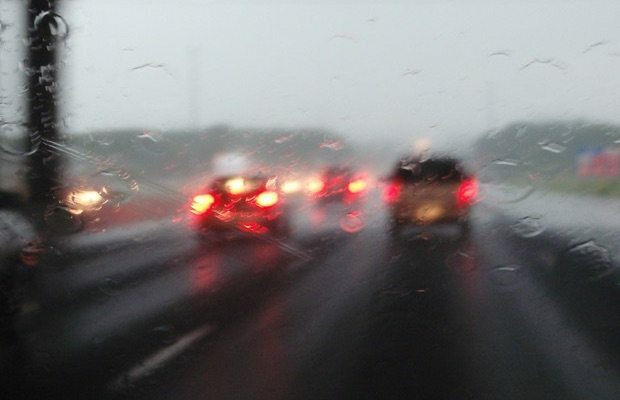 Remember, driving safely in inclement weather requires caution and patience. Give yourself more time to get where you’re going. If conditions are truly unsafe, pull over to a safe place (or stay home if you can). And, finally, don’t be caught with inadequate insurance coverage, either. Wet conditions make accidents more likely, so before you head out into the storm, make sure you have the coverage you need. Top image by Flickr user Gary J. Wood used under Creative Commons Attribution-Sharealike 4.0 license. Image cropped and modified from original. Copyright © 2019, Roger L. Stevens Insurance Agency, Inc. All rights reserved.